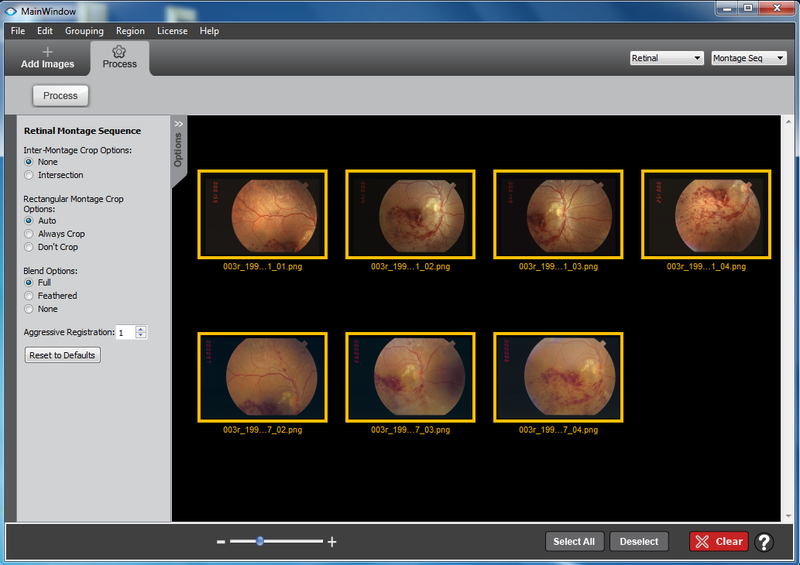 One of the most powerful features of i2k Retina Pro is the ability to combine images from multiple visits, creating aligned sequences of montages and other ways of viewing images from many days, times and modalities. This tutorial shows how to create a montage sequence through manual selection and grouping of images. 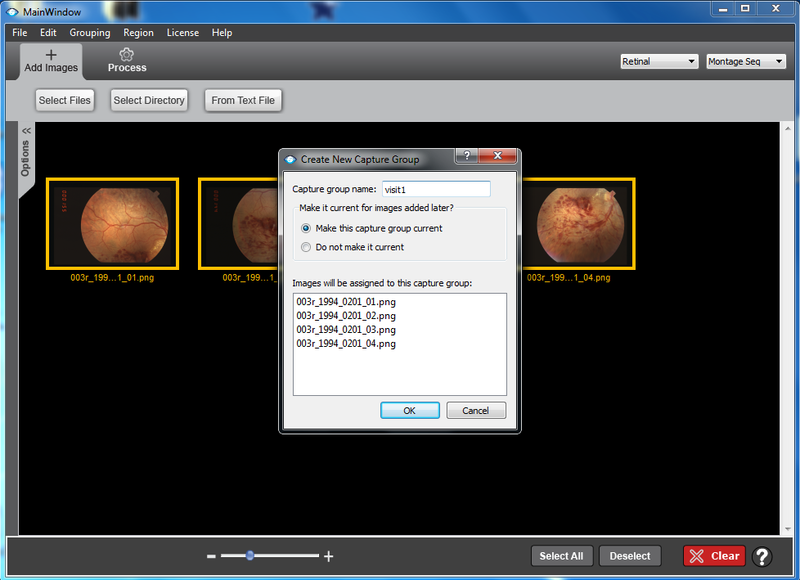 Subsequent tutorials show how to do this more simply either based on the folder structure in which the images are stored or based on the instructions in a text file. pops up the Create New Capture menu. A capture group is a user-specified cluster of images. By default all images are in the same capture group. 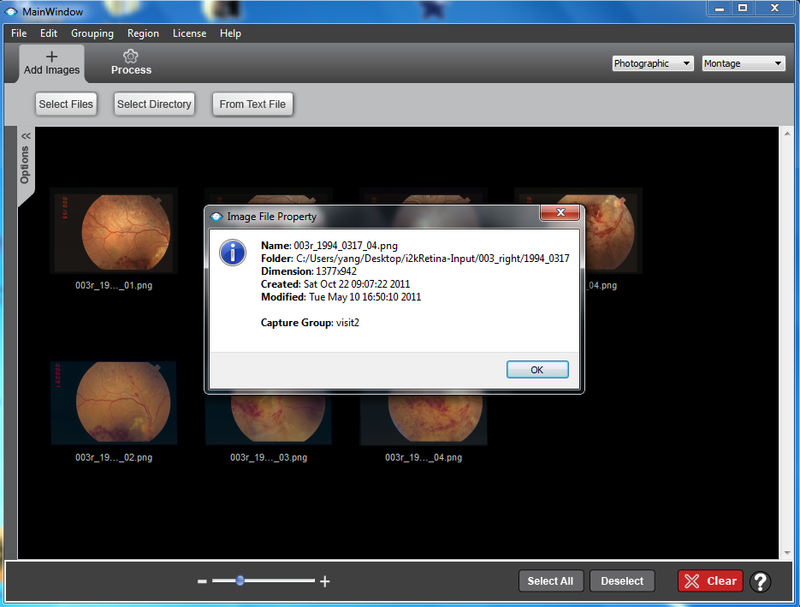 In this example, however, multiple capture groups are created, and a separate montage is created for each capture group. These montages are all consistently aligned. 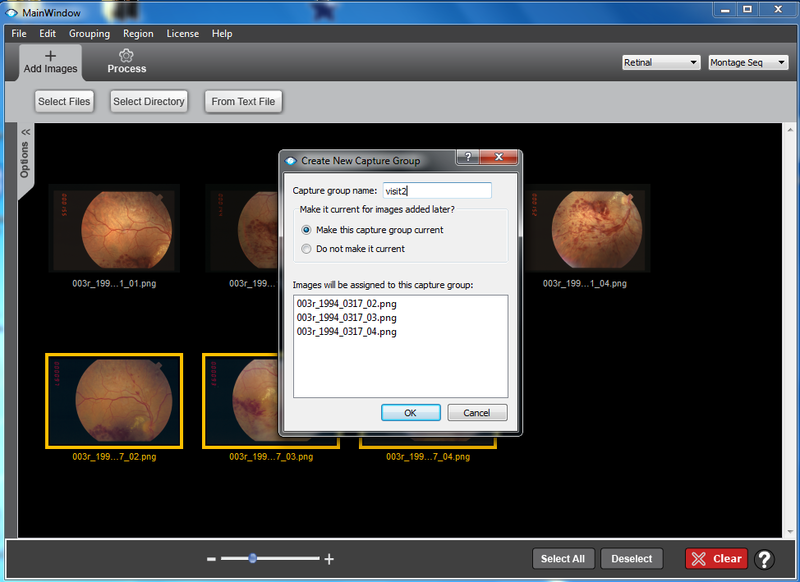 In the above screenshot, the user types the name of the capture group � visit1. The names of the images that will be part of the capture group are shown. The default button that makes the capture group the current group is clicked. 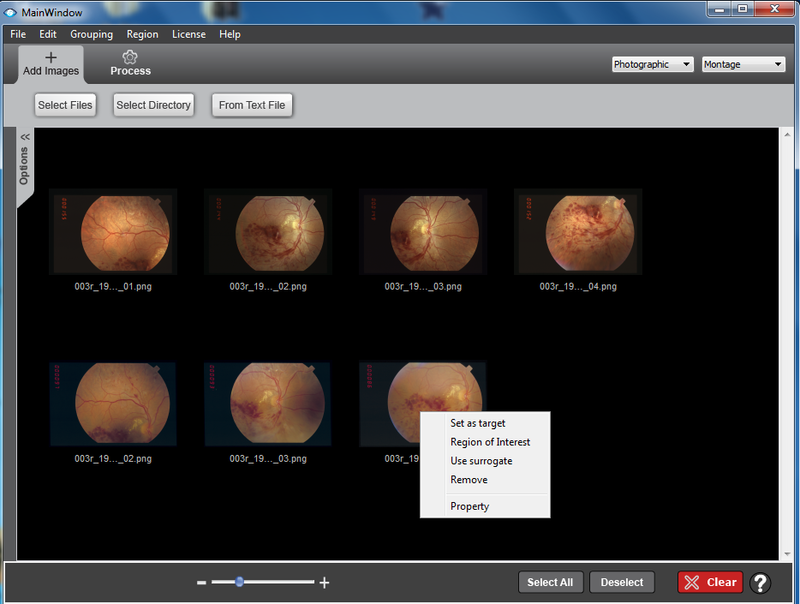 When this happens, any new images added to the main display will be automatically added to this new capture group. 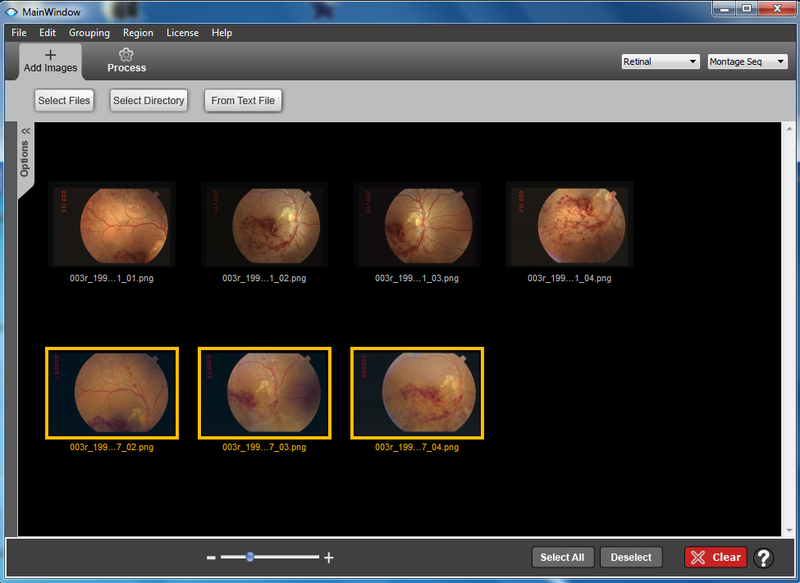 Otherwise, new images will be added to the previous capture group (initially, the default group). Back in the main display, the four images from the visit1 capture group have been deselected, and new images have been added to the display (and capture group visit1) and selected. Typing visit2 in the menu and clicking OK moves the selected images from the visit1 capture group to the visit2 capture group. As an aside, information about each image can be obtained by right clicking on the image. Inter-Montage cropping specifies whether or not the montages are to be cropped to their intersection, whereas the Rectangle Montage crop option allows the user to indicate whether or not the montages should be restricted to an inner inscribed rectangle. The Blend and Aggressive Registration options are the same as for Montage processing. Finally, processing can begin. 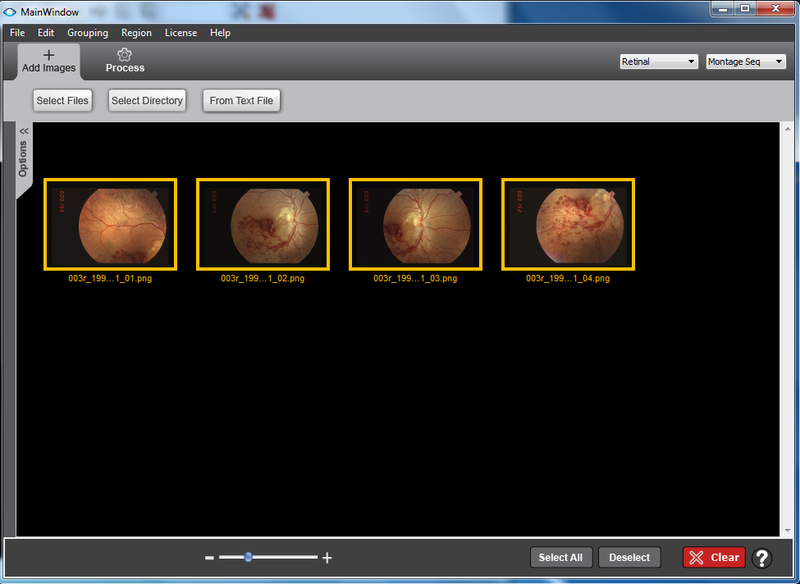 Clicking the Process button tells i2k Align to register all images and generate a montage for each capture group. (If the images came from different folders, an intermediate display pops up to select the location to store the montages.) 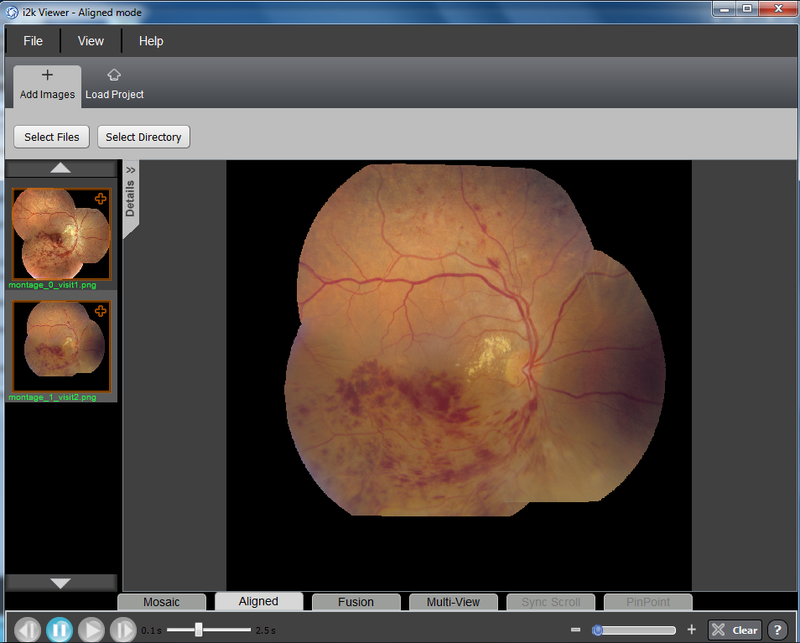 The results are displayed in i2k Viewer allowing use of all functionality of aligned images. 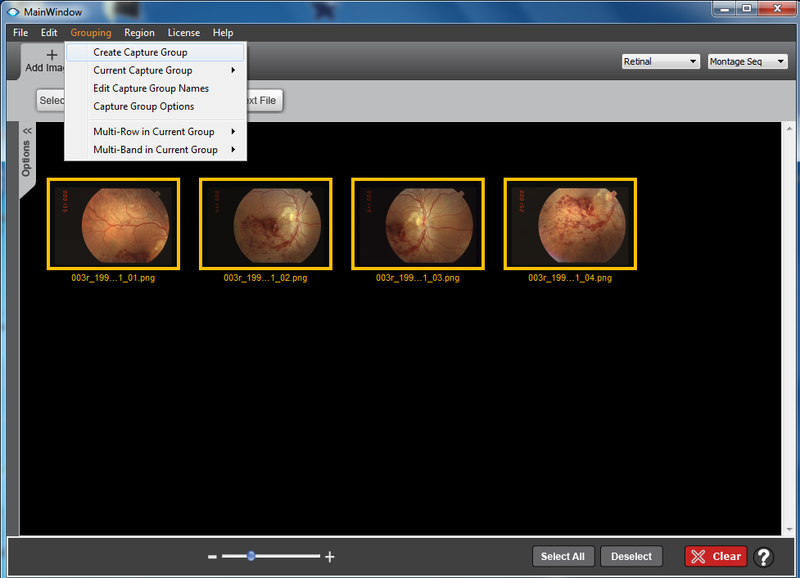 Subsequent tutorials show other ways to set capture groups.